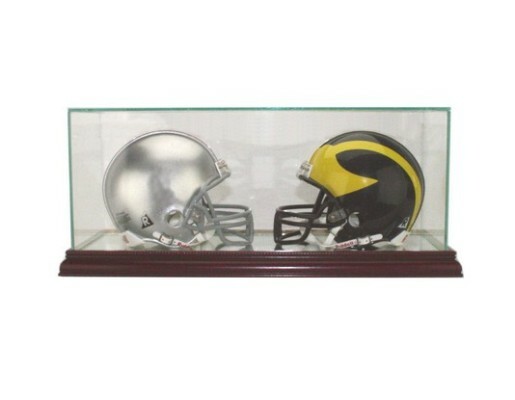 Mini Helmet display case holds 2 mini football helmets, baseball batting helmets, or hockey goalie masks. mirrored so you can see the entire helmet. Interior Dimensions 15" x 5-1/4" x 5-3/4".